You are here: Home / How to know what firmware is running on your iPhone or iPod Touch. 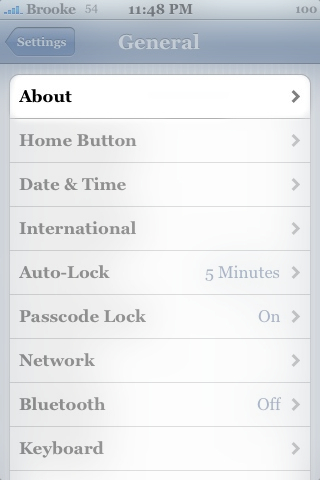 Below are instructions on how to find out what firmware is running on your iPhone or iPod Touch. 1. 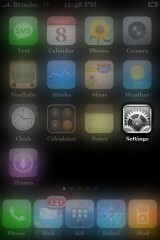 Go into the Settings application on your iPhone/iPod Touch. 2. Select the General option. 3. Select the About option. 4. 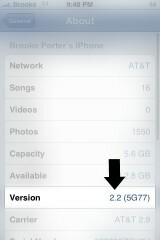 You will then see the Version number. The version number is the version of firmware that is on your iPhone/iPod Touch. I just bought a 1G iphone, but I don’t have a SIM for it. The guy who sold it to me took it to the apple store to get it ready to sell– i don’t know what they did to it. Anyways its stuck on that “insert SIM” screen so I don’t know the firmware in it. I don’t have a box or anything. Im not even certain its 1G but I think so.